Google is an American tech giant known for many things but mainly it is known as a search engine and is worth billions. The company’s main headquarters may be located in California but did you know Google work from home positions are a possibility? Google is a technology company first and foremost but the main thing they are known to the general public for is their search engine. More than likely when you go to perform a search online you are using Google’s search engine. As an internet user you want accurate results when you perform a search across the internet. The more accurate the results you receive are the faster you can find what you are looking for. As a business owner or blogger you have to worry about search engine optimization and giving Google valuable content that it wants to share with internet users. 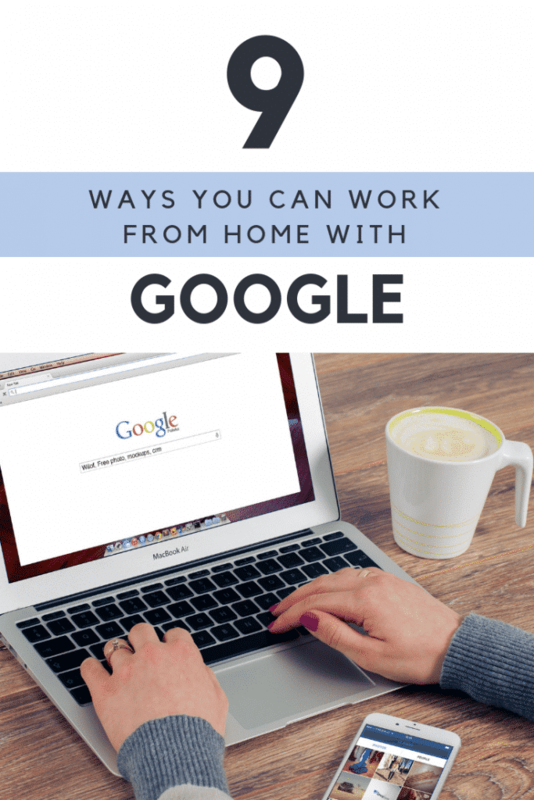 If you want to work for this tech giant but don’t live near one of Google’s offices then you should check out Google work from home options. Find out more about the remote positions Google hires for including ads quality rater jobs and search engine evaluator jobs. These positions offer a lot of flexibility for those needing to work varying hours. The great thing about these Google work from home jobs is once you get hired the system is available 24 hours a day 7 days a week. You can log on and work for 20 minutes or for 3 hours, it is completely up to you. The basic job of a search engine evaluator is to evaluate search engine results as to how relevant they are. When you type a search into Google, or any other search engine, you want the results to come back to be as relevant as possible to help you find what you are looking for. Leapforce is a company that performs search engine evaluations and ad analysis. They contract with search engines such as Google to provide them feedback and help them improve the search engine results that you see every day when you search something. Google work from home positions are often through third party companies such as Leapforce. They hire for a wide range of positions but, similar to Leapforce, and other search engine evaluation companies, they hire for many work at home positions. They also hire for ad quality rater positions. While you may not be working directly for Google, these positions are what provide Google with assistance in ranking search engine results and ads. Appen is a global company that hires practically around the world. The position they hire most often for working from home is the search engine evaluator and social media evaluator positions. This position also does not allow you to work directly for Google but this company is one out of a few that work indirectly for the search engine. This work from home position is available only in certain areas including Houston or San Antonio, TX and Bentonville, AR. This position basically works to sell Google products to other businesses. As a Field Sales Representative, you’ll advocate for the Google Cloud Platform and introduce Google Cloud Platform to new customers and accounts. This remote position works directly for Google. These positions work with the sales team to help them introduce Google Cloud to new customers. If this specific position is no longer available try using the terms “remote”, “telecommute”, or “work from home” in the search box to bring up any available Google work from home options. If you are a website owner or blogger another Google work from home option offers a way to make money remotely by placing ads from Google onto your website. If you have ever dreamed of working for a billion dollar worldwide company then these Google work from home positions might be exactly what you are looking for.